Could one of these be your next family car purchase? You’ve got a growing family, you occasionally ferry about your kids’ friends, your parents, your in-laws and, if you’re very lucky and get to have a social life once every blue moon, you might give your friends a lift too. Yes, you’ve reached that stage in life where you’re no longer looking for a racy hot hatch or a feel-good sports saloon: now is your personal era of the seven-seater people carrier or MPV. MPV stands for Multi Purpose Vehicle, but these days it generally means 'people carrier' - a practical car that normally has five or seven seats. 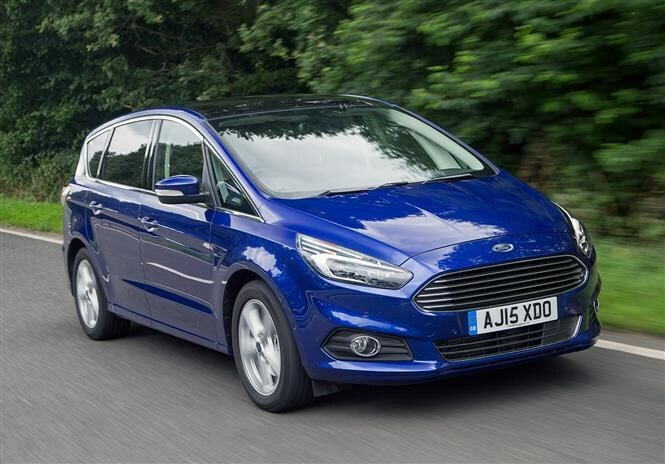 The interior tends to be much more spacious and practical than a hatchback, so MPVs are popular with families. 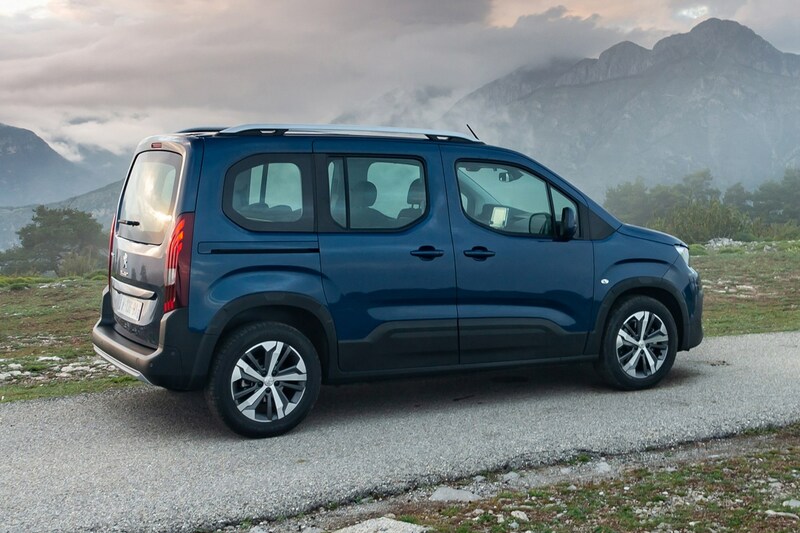 This van-based MPV is designed to attract car buyers who are moving away from MPVs towards SUVs, with more of a crossover style than its sister cars the Vauxhall Combo Life ad Citroen Berlingo (more about them later). It's all about versatility and practicality, with room for seven people whether you choose the Standard or Long body. It is a van at heart, but it has more rugged looks than its counterparts, and little details make it feel more like a car. It's easy to get in to thanks to sliding rear doors, and it's great for large families as it has three Isofix points across the middle row of seats. Space is plentiful, with a massive 3,500-litres available in the Long versoin with the seats folded flat. Simply put, there is masses of space in this flexible van-derived car. It's even more practical than before, and is comfy and relaxed to drive. It's not a bargain, but it is good value. And despite it being essentially a van with windows, it has a lot of charm too. It comes in two lengths: M (for Medium) and XL, which has an extra 35cm, giving an even bigger boot. There are 128 interior cubbies, providing an extra 186-litres of storage space. 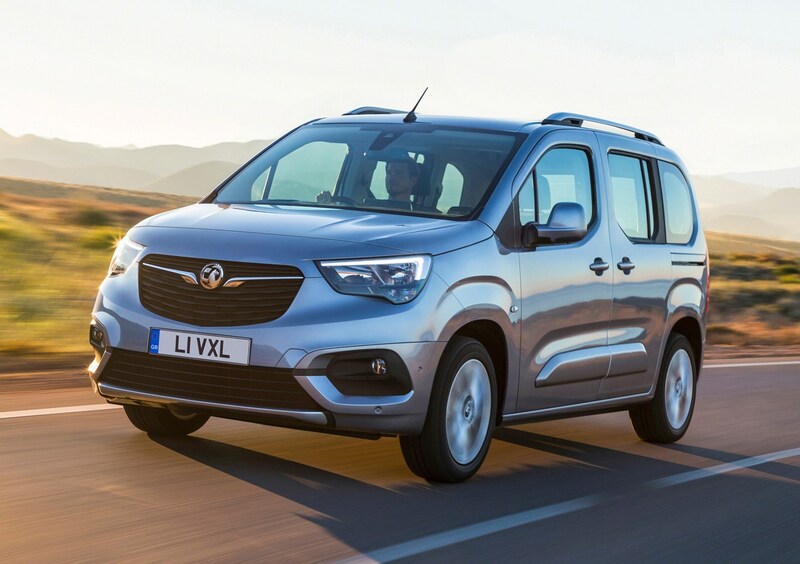 The Vauxhall Combo Life might not be the most inspiring people carrier/MPV to look at, but it ticks every box of what a family might need in a car. 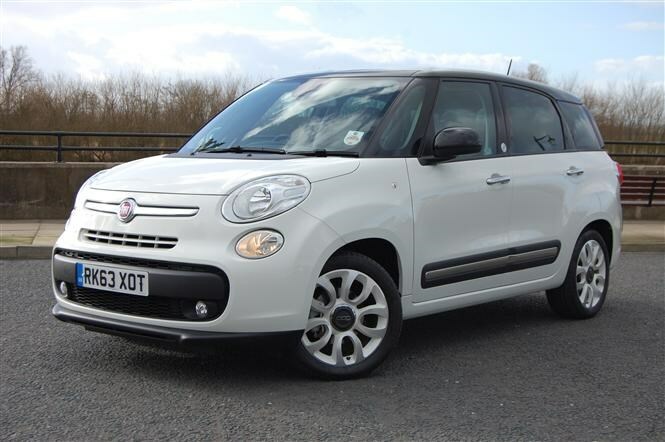 It has impressive safety equipment, plenty of space, comfort, and space for three child seats with Isofix points on all three of the middle row of individual seats. The side doors slide meaning you can avoid those supermarket car park door dings children love to achieve. Two lengths of car are available, with a maximum capacity in the larger of 2,693-litres. 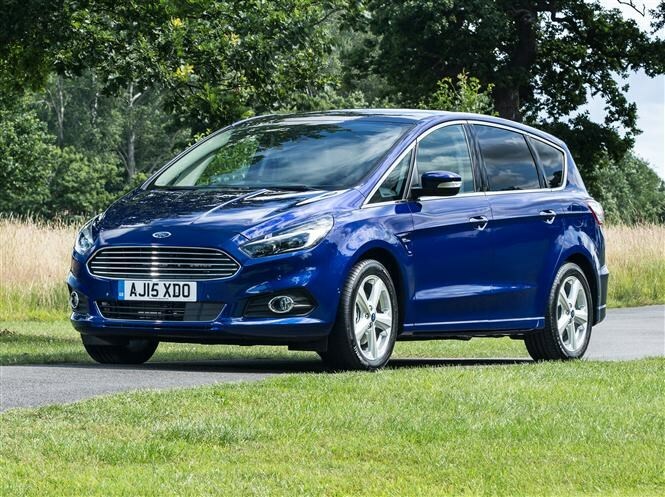 If you're looking for a Ford people carirer, the Ford S-Max is the brand's sportier take on the MPV - it's got seven seats like the larger Galaxy, but with a lower roofline and more focused driving experience. That doesn’t mean to say that practicality has been sacrificed too much in the quest for excellent driving dynamics – the big Ford remains a sound choice for drivers who like to get enthusiastic behind the wheel. As with others here, the rearmost seats are primarily designed for children but they fold into the floor at the touch of a button. There’s also an electric tailgate option which can be activated by waving your foot under the rear bumper. Many interior surfaces are coated with an anti-stain layer to preserve the longevity of fittings. With a range of economical turbocharged petrol and diesel engines, we’d opt for the mid-range Titanium to land cruise control, keyless entry, automatic lights and wipers, as well as sat-nav and a range of active safety technologies. Pair it with the 150hp 2.0-litre TDCi diesel for the best results. 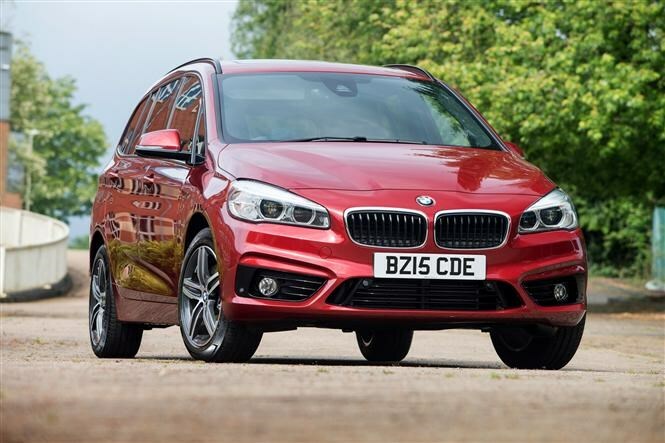 It might seem odd to BMW traditionalists to see the brand on a list of the best people carriers, but this is an engaging family car. Underneath the functional-looking bodywork lies a front-wheel drive platform – four-wheel drive xDrive models are available too – powered in part by a range of petrol and diesel engines. This people carrier isn’t quite as practicality-focused as the others here however. The middle row of seats is essentially a bench rather than individual chairs, but there’s storage space under the seat and seat-back tables too. The back row of seats isn't recommended for tall passengers as it’s quite cramped back there. Neat solutions such as elasticated strappings on the sides of the boot allow kids’ clutter to be conveniently restrained. The seats themselves can be raised and lowered with a single hand and the tailgate can be raised electrically in the same manner as the Ford’s. 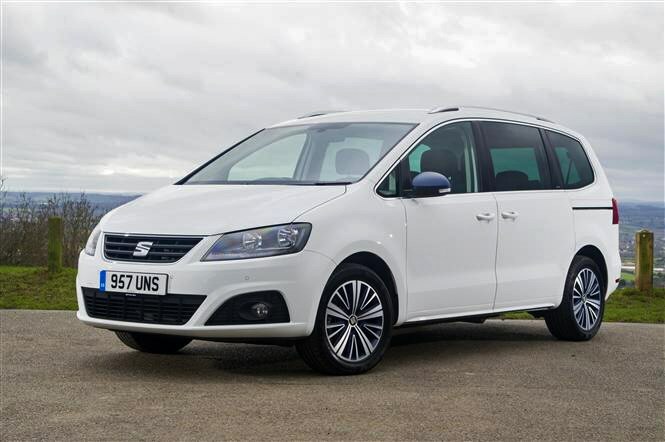 Pitched as a slightly lower-priced alternative to its sister car, the Volkswagen Sharan, the SEAT Alhambra nevertheless has all the VW’s qualities and attractions. It’s a bigger seven-seater than the others here, meaning adults are more likely to find the back two chairs more comfortable than the others. With those swollen dimensions – it’s the longest, widest and tallest here – comes even more space inside for a combination of people and their stuff. Whereas the Alhambra is also available, like the others, with an electric tailgate, SEAT’s trump card compared with the non-van-based MPVs are the sliding doors to access the middle and rear rows of seats – these too can be electrically-operated. The result is fewer dings in car parks as kids swing them open wildly into neighbouring vehicles. With a high-quality interior and excellent driving experience, the Ford C-Max is a versatile small people carrier. There’s a wide range of petrol and diesel engines to choose from but the 1.6-litre diesel is cheapest to run, averaging a claimed 61mpg and emitting 119g/km of CO2. Standard equipment levels are high – there are three trims to choose from (Zetec, Titanium and Titanium X). Zetec versions are cheaper but still feature digital radio and air-con. Some may be fitted with the optional family pack which includes a powered tailgate and rear blinds. Boot space is larger than the Focus and with the rear seat backs down it’ll easily cope with a trip to the DIY store. Smart buy is the 1.6-litre EcoBoost petrol in Zetec trim. 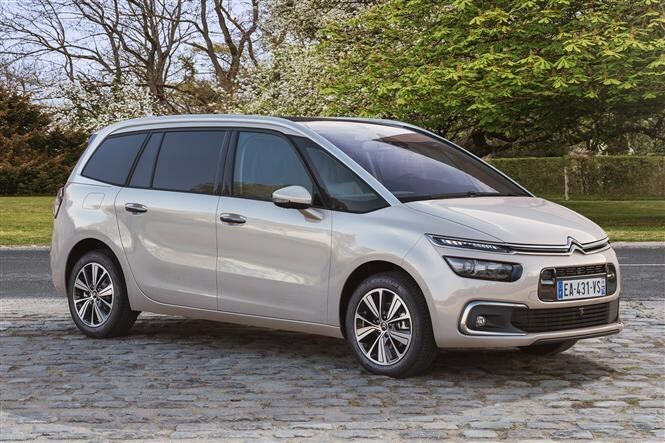 As distinctive on the inside as it is on outside, the futuristic Citroen Grand C4 Picasso is an especially flexible and adaptable seven-seater. 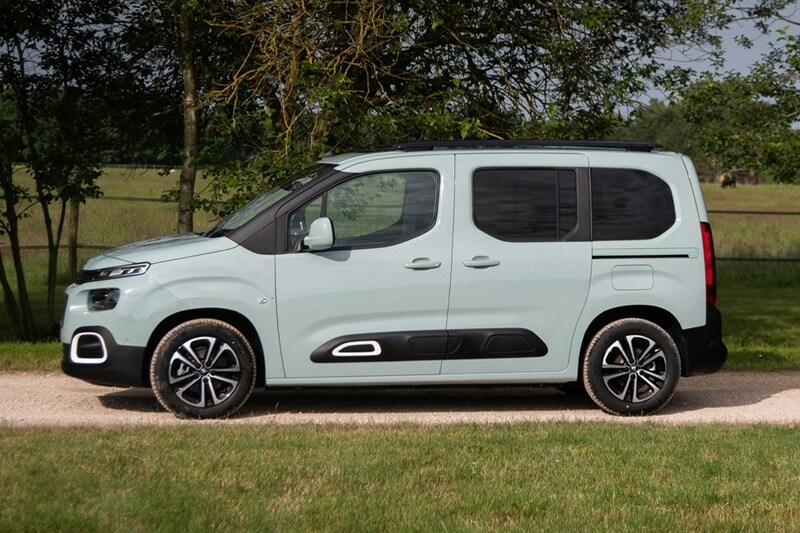 Like many in our list of the best people carriers, the Citroen’s rearmost seats are ideally suited for children but adults can squeeze themselves in there for shorter journeys, too. While the largest Picasso won’t thrill its driver along a winding B-road, it’s superbly comfortable making long journeys feel particularly relaxed. Individual seats in rows two and three ensure all passengers have ample head, leg and elbow room, with lots of storage cubbies to keep cabin detritus well-hidden from prying eyes. All five rear seats fold flat into the floor in less than a minute and the front passenger seat also folds to accommodate long items. Excellent all-round visibility ensures everyone can see out easily helping reduce travel sickness, while two tablet-like screens dominate the dashboard allowing everyone to see the sat-nav and monitor how far away the destination is without asking. The B-Max is a bit of a star. It’s compact as far as people carriers go and it features clever rear sliding doors. Their design means there’s no pillar between the front and rear doors, creating a huge 1.5-metre opening to improve access for passengers and loading cargo. Its small dimensions make it great around town and it should prove cheap to run, too. The 1.6-litre TDCi diesel emits 104g/km CO2, making it cheap to tax and averages a claimed 70mpg (though you may struggle to match that figure in everyday driving). Petrol fans might wish to consider the clever 1.0-litre EcoBoost engine, which in top spec averages a claimed 57mpg (though we’ve seen much lower figures on test) and emits 114g/km. Bear in mind that the B-Max’s boot isn’t huge if you’ll regularly carry two or more passengers’ luggage. Looking for a Vauxhall people carrier? The original Zafira revolutionised MPVs with clever seating and family-friendly features. The second-generation model retained these strengths but adds improved build quality. It seats seven, though the middle bench needs to be slide forward to access the rear seats. Rear seats fold flat and some models feature overhead storage bins. The 115bhp 1.6-litre petrol is the best compromise between pace and costs, plus Exclusiv delivers most kit for your cash. Avoid tired interiors and seats that refuse to fold flat easily. If reliability is what you’re after, you could do worse than the well-built Toyota Verso. It has an excellent reputation for durability. Seven seats are standard and the rear five can be individually folded down for plenty of passenger and cargo combinations. On the negative front, its bland cabin is populated by some slightly flimsy materials and it’s not inspiring to drive. We’d avoid the base T2 spec and automatic gearboxes in favour of the TR model. Versos built from 2013 have a much better quality. Larger than the original model the second-generation Meriva is still a compact people carrier that’s perfect for urban driving. It’s easy to drive, helped by light steering and excellent visibility. A big talking point is the car’s rear-hinged side doors, a genuinely useful feature which make getting into the back seats or ﬁtting a child seat much easier. The interior’s impressive too, with an easy-to-use layout and durable materials borrowed from the Astra and Insignia. We’d recommend the 1.4-litre Turbo in either Exclusiv or SE trim as best for value and you get air con as standard. If you’re after no-frills family motoring, the Berlingo Multispace is perfect. A ﬁve-seat people carrier for buyers on a budget, it’s spacious, practical and full of family-friendly features. The Multispace uses car underpinnings and is comfy and good to drive. It’s a utilitarian car with a functional and hard-wearing interior. Bright seat fabrics and a large glass area brighten things up and make the cabin feel spacious. Twin front airbags are standard but side and curtain airbags or stability control aren’t on base models. Most people carriers do short trips, so don’t rack up the annual miles to claw back the extra fuel and purchase costs included with buying a diesel. Worse still, lots of short trips can clog-up particulate ﬁlters and these are expensive to replace. Go for a cheaper petrol unless you do 16,000 miles or more. Take pushchairs and child seats to check they ﬁt, and bring along the kids. You don’t want a car where they feel car-sick when travelling. Cars with large panoramic windscreens and glass roofs can help prevent motion sickness. Household budgets are tight and family life is busy, so services and MoTs can be overlooked. Check services are up to date, done on schedule and by a reputable centre. Families can abuse cars. Lift the rear seats and if there’s debris from sweets and general mess, you know it’s had a hard life. Top-spec models may come with large wheels so replacement tyres may be expensive. Check costs. Ideally the seats will fold ﬂat, including the front passenger seat – this can help with loading lengthy items. Even the titchy Ford B-Max can manage 2.4m long objects – helpful for DIY apparatus. Many people carriers are fitted with roof bars – check for any scuff marks from roof boxes, bike racks and cargo straps.